Hi guys in this article I'll explain about how to download and use filmorago mod app. basically this a video editing app for android. actually this the most popular app for video editing. first of all I talk about app features and how to use then I ll talk about how to download. Please read this article to know about this app perfectly. 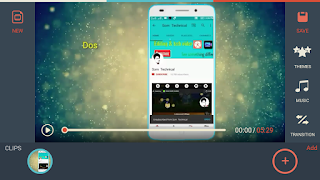 first open this app you want to tap on create new video. then you have choose some videos or photo what you want to edit. next you redirect to home page. you can see more options to editing,like (theme, music, transition,ratio/crop,edit tool). you have choose a option what you want to give or put into your video. you can give many effects. let's talk about features one by one. (1) transition-you get more than 50 transition for put into your videos. (2)ratio/crop-here you can crop your videos (16:9)/(21:9)(1:1), you can cut you videos out sides,and add frame, and you can do blur. (a) trim clip- you can cut your videos extra part. (b) crop - for zoom out and zoom in. (c) subtitle - you can give some subtitle like professional text. (d) not for explain -pip, voice over, audio mixer, filters, overlays, elements, titles, speed, rotate, adjust, duplicate and delete. you can use for pro editing, this app is the one of the best video editing app of the world. this app is available for pc. if you have a pc then you can download pc version. Ok this is very simple, i recommend a link that is Google drive link. open link from any browser like chrome and uc browser. then click on download button. that's all. so I hope you understand what i write and I hope this article is helpful for you. Please like our fb page that is som technical. and if you want to more information about this app then you can visit my youtube channel that is som technical. I hope you understand what i say. That's all have a good day.